the EU Community Designs Regulation (6/2002) for Community designs. Both laws are harmonised with the EU Designs Directive (98/71/EC). The Polish design regime is largely based on registration. The crucial requirements for a design (referred to as an ‘industrial design’ under Polish IP law) to enjoy protection are novelty and individual character. However, design applications are examined for compliance with formal requirements only; novelty and individual character are not examined in the registration procedure. The Industrial Property Law does not provide protection for unregistered designs. Unregistered designs can be protected under the EU Community Designs Regulation for a period of three years from the date on which the design is first made available to the public in the European Union. An unregistered Community design must meet the same novelty and individual character requirements as a registered Community design and must be disclosed to the public in such a way that in the normal course of trade the disclosing event (publication, exhibition, use in trade or other disclosure) could reasonably have become known within the relevant sectors. An unregistered Community design enables the rights holder to prohibit unauthorised third-party use of the design only if the contested use results from copying. An unregistered design may also be protected under the Copyright Law or Unfair Competition Law, provided that the conditions specified in these laws are met. The right to register a design generally belongs to the creator. Where a design has been created jointly by several persons, the right of registration belongs to them jointly. Where a design has been created in the course of employment duties or execution of a contract, the right belongs to the employer or commissioner unless otherwise agreed. The right to register a design may be assigned to any natural or legal person. A written form of an assignment agreement is obligatory. A design application in Poland can be filed with the Patent Office by the applicant or its representative. A power of attorney is required, plus a document proving the capacity of the person who signed the power of attorney to represent the applicant. The Industrial Property Law defines an ‘industrial design’ as any appearance of the whole or a part of a product which is new and has individual character resulting from the features of, in particular, the lines, colours, shapes, textures or materials of the product and its ornamentation. ‘Product’ means any industrial or handicraft item, including packaging, get-up, graphic symbols and typefaces, but excluding computer programs. a replaceable component part of a complex product which, once incorporated into a complex product, remains visible during normal use of the complex product, excluding maintenance, servicing or repair work. Assessment of the novelty and individual character of a design incorporated into a component part of a complex product applies only to the visible features of the complex product. The scope of protection for component parts is severely limited by the repair clause, which provides that design protection does not cover a component part of a complex product that is used to repair that complex product so as to restore its original appearance. Third parties are permitted to exploit such a component part of a complex product through manufacturing, offering, putting on the market, importing, exporting or using the product into which the design is incorporated or to which it is applied, or stocking the product for these purposes. it violates third-party rights (eg, trademarks and copyrights). In addition, the Industrial Property Law provides no design protection to ‘must-fit’ features of a product – that is, features that must be reproduced in their exact form and dimensions to permit the product to be mechanically connected to or interact with another product. However, registration of a design that is intended for the multiple assembly or connection of mutually interchangeable products within a modular system is permitted. A design is considered new if no identical design has been made available to the public (ie, used, exhibited or otherwise disclosed) before the priority date. A design is considered identical to a prior design if it differs from the prior design only in immaterial details. The Industrial Property Law provides for a 12-month grace period preceding the priority date, during which disclosure of a design by its owner does not destroy the novelty of the design. A design is considered to have individual character if the overall impression that it produces on the informed user differs from that produced by any design made available before the priority date. In assessing individual character, the degree of freedom afforded to the designer in developing the design is taken into consideration. According to well-established case law, an ‘informed user’ is someone whose expertise lies between that of an average consumer and that of an expert (ie, who is acquainted with design development in the relevant field, familiar with products to which the design is applied, observant and circumspect). On filing an industrial design, the applicant need pay only the application fee. Publication and renewal fees are paid after registration. In contrast, the fees for registration of a Community design are due in full on filing. The official fees for registration of a single design, including the first five-year protection period, is approximately €130 for a national design and €350 for a Community design. Designs to be protected in Poland can be registered directly with the Polish Patent Office or, in the case of Community designs, with the EU Intellectual Property Office (EUIPO). Poland can also be designated within the Hague System. A national design application must contain a representation of the design. The representation can comprise drawings, photographs or fabric samples. Filing a description of a design is voluntary. A description of the design is not required for a Community design registration. As a rule, one design per application is allowed in Poland. However, one design application may relate to separate appearances of a product which have essential features in common (ie, variations). The maximum number of variations in one application is 10, unless they form a set of products. Under the EU Community Designs Regulation, multiple designs may be combined in one application provided that the products in which the designs are incorporated all belong to the same Locarno class (except in cases of ornamentation). Deferred publication is not available under Polish law. Under the EU Community Designs Regulation, at the time of filing the applicant can request that publication of a registered Community design be deferred for 30 months from the filing date. A decision on registration of an industrial design will be taken after verification that the design application has been duly filed. Only formal requirements are subject to verification (eg, representation of a design, fee payment and power of attorney). No substantive examination is conducted. If the Patent Office refuses registration, a request for re-examination can be filed within two months of the decision. A re-examination decision can be appealed to a provincial administrative court within 30 days. The court’s decision may further be subject to a cassation complaint before the Supreme Administrative Court, whose decision is final. Polish design registration can be opposed within six months of publication of the information regarding the registration in the official bulletin, Wiadomości Urzędu Patentowego. An opposition can be filed by anyone who can prove that the statutory requirements for registration have not been met. If the rights holder disputes the opposition, the case is transferred to the Patent Office’s Litigation Division. If the opposition is upheld, registration is cancelled. Registration gives the owner the exclusive right to exploit the design commercially within the relevant territory: a national industrial design is binding for Poland, whereas a registered Community design applies EU-wide, including Poland. The owner can prohibit any third party from manufacturing, offering, placing on the market, importing, exporting or using a product in which the design is incorporated, or stocking such a product for these purposes. The term of a design registration is 25 years from the filing date, divided into five-year periods. A design registration lapses on expiry of the protection period or after five years if no renewal fee is paid. It can also be surrendered by the rights holder. The Patent Office can wholly or partially invalidate a design registration at the request of any party proving its legal interest. The requesting party must also prove that the requirements for registration of the contested design have not been met. An invalidation decision can be appealed directly to the administrative courts. Invalidation of a Community design is decided directly by the EUIPO or a relevant Community court on the basis of a counterclaim filed in the infringement proceedings. The rights holder may initiate a civil action against alleged infringers. A Polish design registration can be enforced before the common civil courts. The first-instance court is the district court where the alleged infringer resides or is domiciled, or where the infringement was committed. Community design infringements are handled by the Community court established in Warsaw. In order to initiate court proceedings, a statement of claim must be lodged along with evidence. Polish patent attorneys can represent rights holders before the courts in enforcement proceedings concerning both Polish and Community designs. publication of the judgment or information about the judgment. Where the infringement was unintentional, the court may order the infringer to pay a reasonable sum to the rights holder instead of cessation or destruction. No criminal measures are available for design infringement. A preliminary injunction may be requested before or during infringement proceedings. If the request is filed before proceedings commence, the court will appoint a deadline (usually 14 days) to file suit. If the deadline is missed, the injunction will lapse. The preliminary injunction is decided in ex parte proceedings. The standard of evidence required to obtain a preliminary injunction is lower than in the main proceedings; however, the rights holder must prove its legal interest in requesting the injunction, the rights which have been infringed and the factual and legal circumstances of the infringement. Claims secured by the preliminary injunction and the injunction measures sought (eg, seizure of infringing products, a ban on sale of infringing products) must be defined as well. A preliminary injunction is granted for the duration of the main proceedings and lapses one month after the close of the main proceedings, at the latest. If the plaintiff loses the suit or withdraws it before a verdict is issued, the alleged infringer is entitled to request compensation for damages suffered as a result of the interim injunction. Customs protection – available for national and Community designs – can be effective against design infringement. Border measures are based on the EU Customs Regulation (608/2013). Customs protection may be granted for one year, extendable for a further year on written request. It enables the rights holder to obtain customs notification relating to the seizure of products suspected of design infringement. Within 10 working days of receiving customs notification of the seizure (extendable for another 10 working days), the rights holder must undertake necessary legal action against the allegedly infringing goods, otherwise they will be released. A simplified procedure is also possible. Design infringement claims can be enforced after registration. Where the infringer has acted in good faith, infringement claims can be enforced in respect of the period commencing on the day following publication or, where the infringer was notified earlier of the design application, from the date of notification. The limitation period for infringement claims is three years from the date on which the rights holder learns of the infringement; this period runs separately for each individual infringement. Claims are time barred after five years from the date of the infringement. A design registration or pending application may be assigned or subject to succession. The assignment agreement must be in writing, on pain of invalidity. All changes must be entered in the Design Register in order to be effective against third parties. A licensing agreement must be in writing, on pain of invalidity. The licensee has the right to exploit the design to the same extent as the licensor (full licence), unless restricted in the contract (limited licence). A licence can be exclusive or non-exclusive. The grant of a licence to one party shall not prevent the rights holder from granting a licence to other parties (non-exclusive licence), unless otherwise agreed. A licence terminates at the latest on lapse of the design right. A licensee may grant a sub-licence only with the rights holder’s consent. Recordal of a licence agreement is not mandatory; however, an exclusive licensee recorded in the Design Register may, to the same extent as the rights holder, enforce its claims against infringement, unless the licence stipulates otherwise. The appearance of a product can be protected by both design rights and copyright. So-called ‘industrial design works’ are explicitly listed in the Copyright Act as protectable subject matter and must meet the same requirements as other copyrighted works in order to enjoy copyright protection. The protection granted on the basis of the Copyright Law is independent of the protection granted on the basis of the Industrial Property Law. In some areas (eg, packaging), design products are commonly registered as three-dimensional trademarks. The shape of a product can also enjoy protection under the Unfair Competition Law, provided that separate criteria are met. 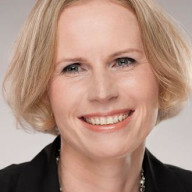 Małgorzata Zielińska-Łazarowicz is a lawyer, a Polish patent and trademark attorney and a professional representative before the EU Intellectual Property Office (EUIPO). She obtained her law degree from the University of Warsaw, where she completed further postgraduate studies in IP rights and European law. Ms Zielińska-Łazarowicz’ practice focuses on designs and trademarks, including prosecution, litigation and enforcement, as well as unfair competition matters. She represents clients before the Polish Patent Office, EUIPO and the common and administrative courts. Ms Zielińska-Łazarowicz also has experience in border detention matters.